Colorful and functional, the Clio has been a staple of the Cressi fins line for many years. The blade, made with EVA, is melted during the molding with a Soft Thermo-Rubber (elastomer) used for the foot pocket, for the side stringers and for some inserts, to offer maximum quality and comfort. The Clio features a soft elastomer foot pocket with a reinforced non-vented blade to provide maximum efficiency and comfort for snorkeling. Much care has been devoted to designing the foot pocket, designed by computer, which ensures easy of wearing. It features a fluid andundemanding kick, perfect for children and adults alike. 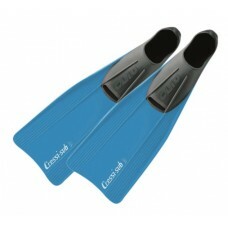 High comfort, much appreciated also the prolonged use of the fin and perfect for young users. 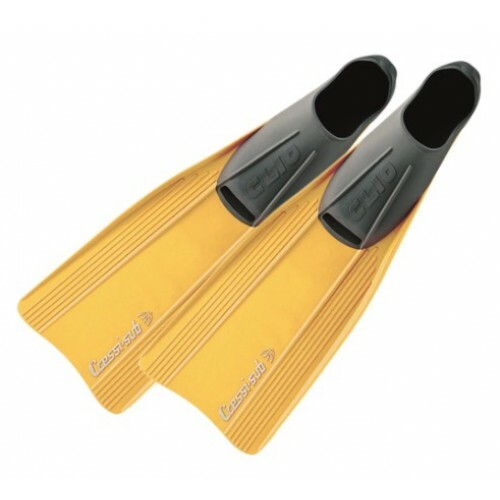 The Clio is an excellent fin for swimming, snorkeling and freediving.